Are you going to a Memorial Day party and have no idea what to bring? Are you hopeless in the kitchen? Want to look like an overachiever when you are far from one? 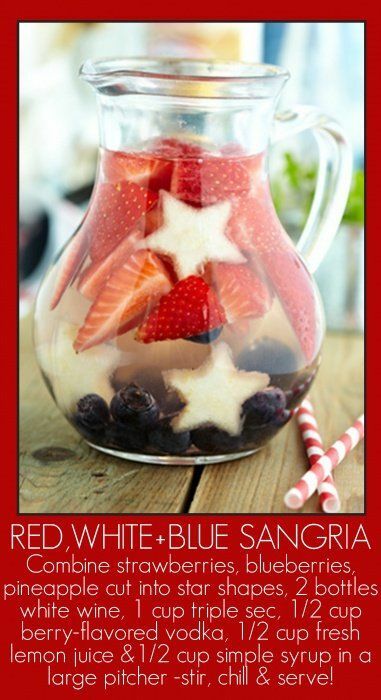 Having a Memorial Day party and need cheap, easy decoration ideas? 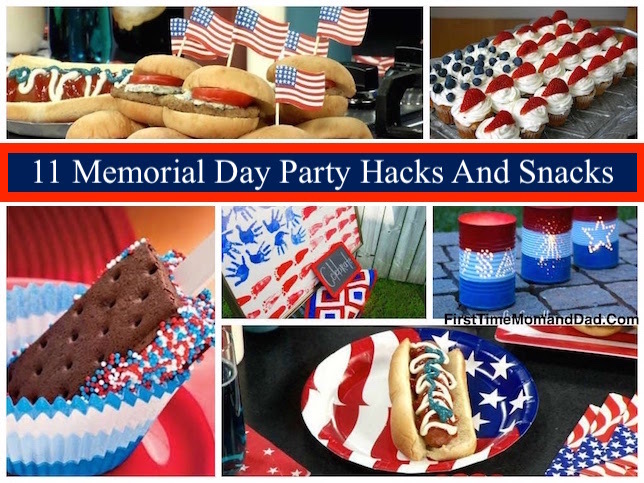 If you answered yes to any of those questions, then good news, below are a few of my favorite SUPER EASY to make Magical Memorial Day Party Hacks and Snacks! 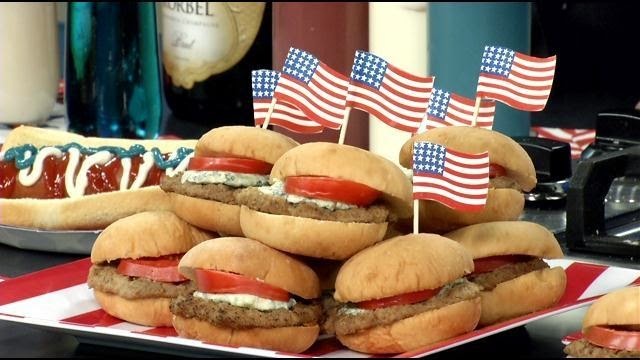 Red, White and BLEU sliders! I love bleu cheese. Love it! OR! 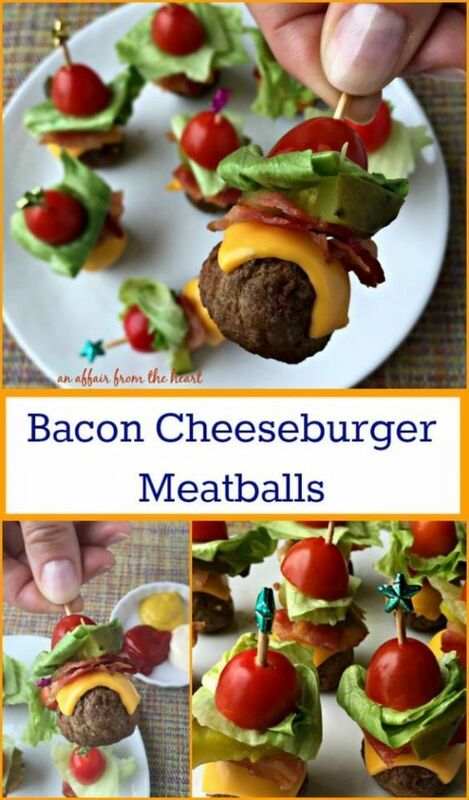 Make my new favorite party treat, Bacon Cheese Burger Meatballs! Color the Mayo blue with a few drops of blue food coloring. 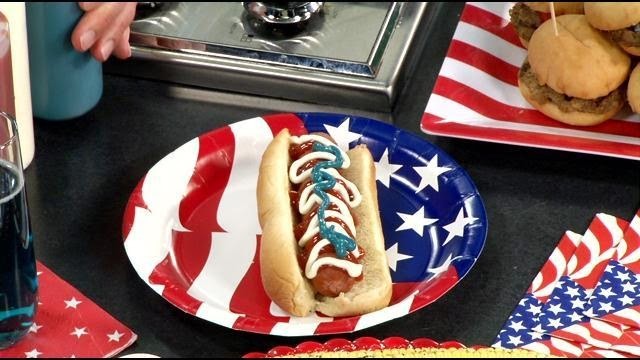 Don't forget the RED, WHITE And BLUE Hot Dogs! Red (ketchup), White (Mayo) and Blue (Mustard) Hotdogs! 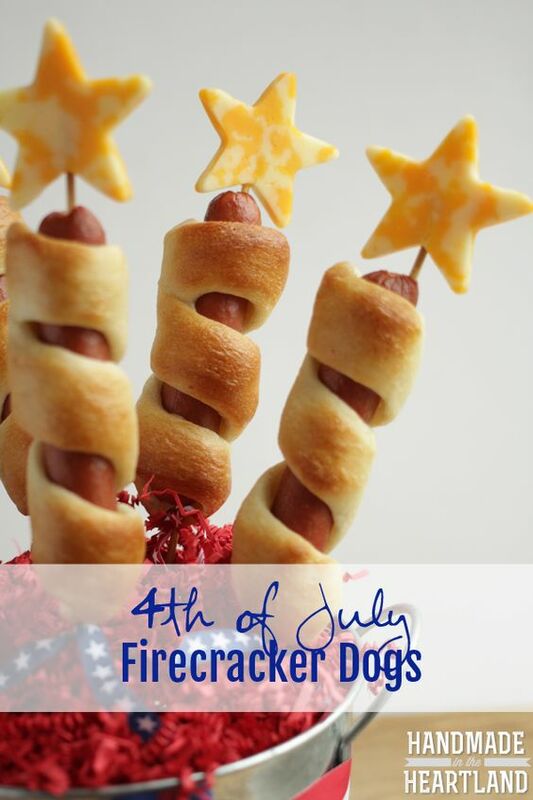 For the kids... Firework Dogs! 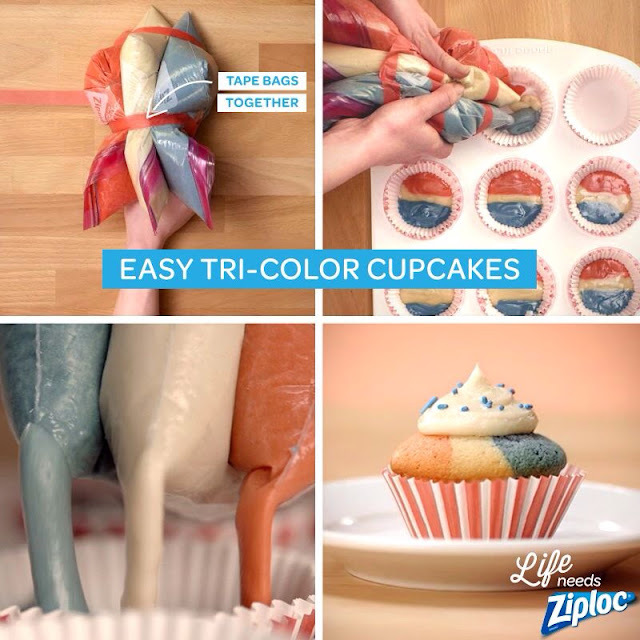 Add different color batter to piping bags to make endless treat color-combo possibilities. Apply same pressure when squeezing for precise designs and mixing. 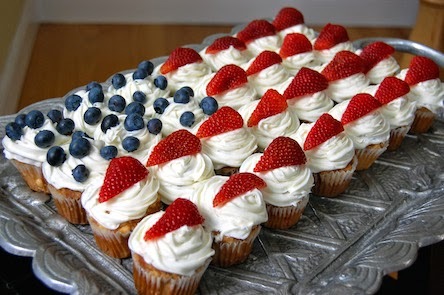 No Doubt the kids will go MENTAL for these Firecracker Cake bites. 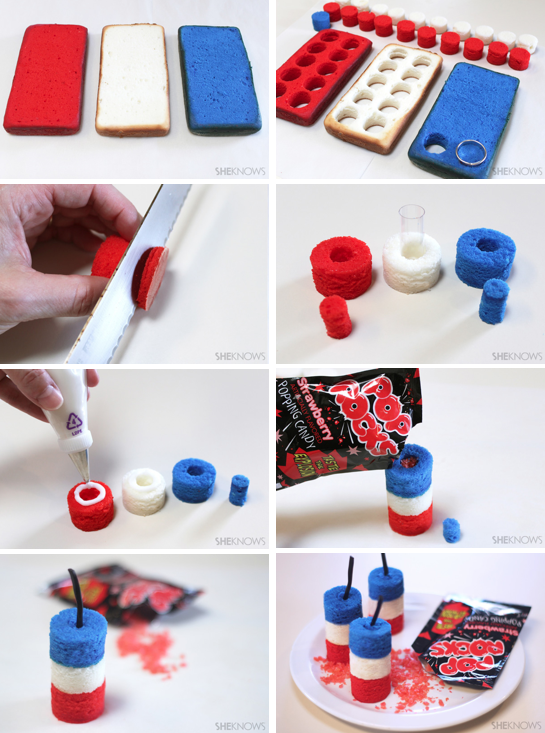 TIP: Use a chopstick to make a hole in the center for the pop rocks, MUCH easier than cutting out little circles. stack the cakes, sprinkling the Pop Rocks in between layers. Ice with white icing and sprinkle more Poproocks on top. This festive red-white-and-blue ice cream sandwich is ultra easy. 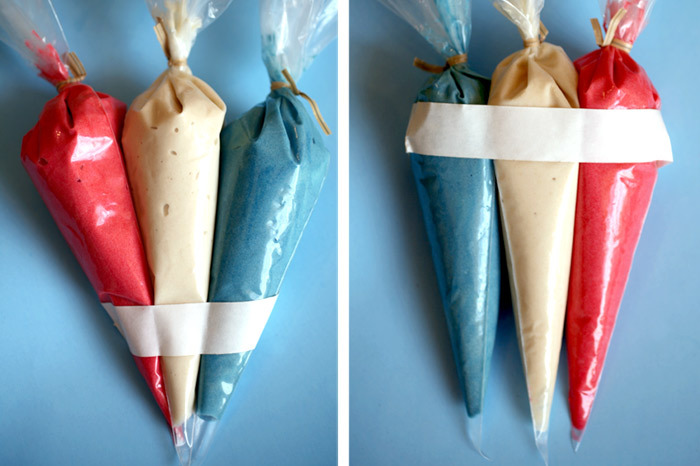 It's just store-bought ice cream sandwiches with a popsicle stick shoved in the middle then pressed in red, white and blue sprinkles. Done. 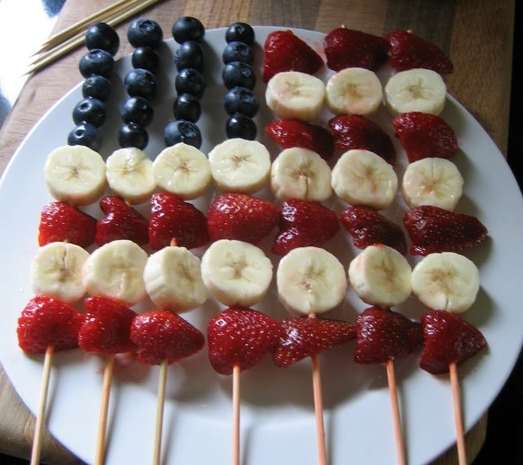 This fruit flag only works when served immediately. The bananas go brown. Serve for brunch if anything. Outside will not work for this one. 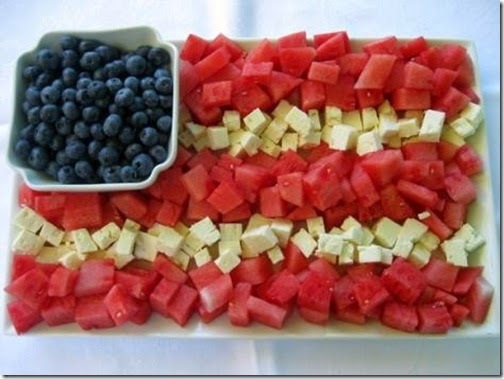 The below watermelon, blueberry and cheese dish is my favorite festive go-to. Except, in a bowl. I mix the watermelon, feta, and blueberries in a big bowl. So easy. Even the kids like it! and strawberries as the middle red stripe! 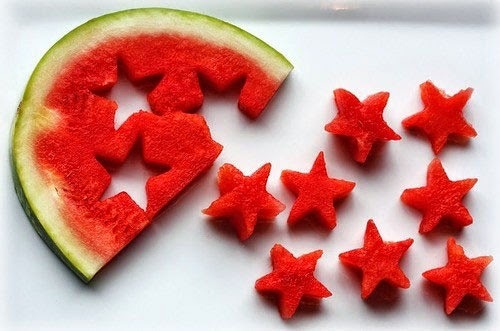 Making watermelon star cutouts is super fun for the kids. TIP: When they finish making stars, puree the leftover watermelon in a blender to make adult beverages or popsicles. This Star Shaped Iced Shortbread Cookie treat is YUM YUM YUM. A girlfriend made this for my party last year. SO GOOD. She used premade in the tube circle shortbread cookies, cream cheese frosting and sliced strawberries and blueberries. Need something easier? 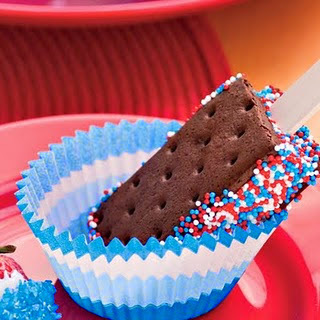 Try these red-white-and-blue brownie bites. 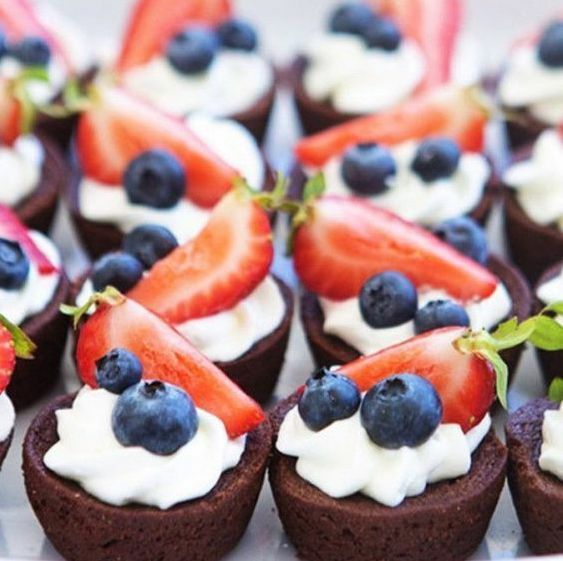 All you need is brownie bites, a can or whip cream, blueberries and sliced strawberries. These Spray Paint Lawn Stars using Construction Marking Paint is genius for temporary fun without destroying the grass! LOVE LOVE LOVE THIS! And, will def be giving it a try this year. 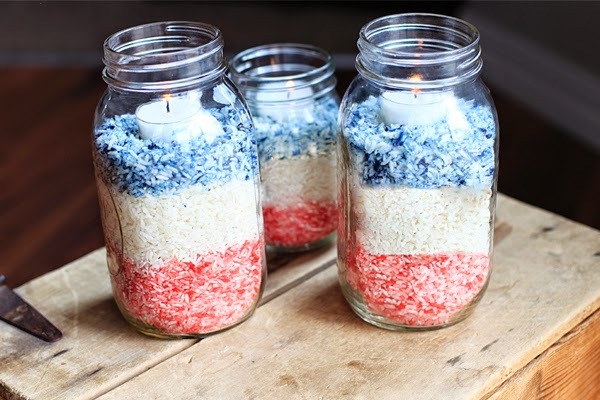 Red, white and Blue Rice tea lights! Find citronella tea lights too! The more I stare at this, the more I think I can do it. What do you think? Super easy, or super opportunity for a Pinterest "Nailed It" moment? 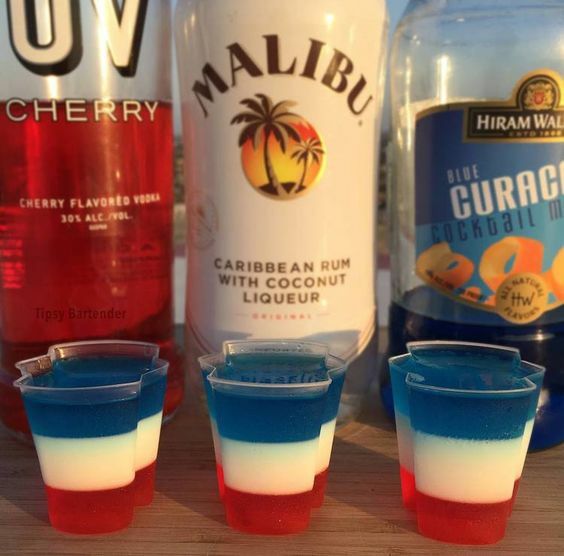 Red White And Blue SHOTS! 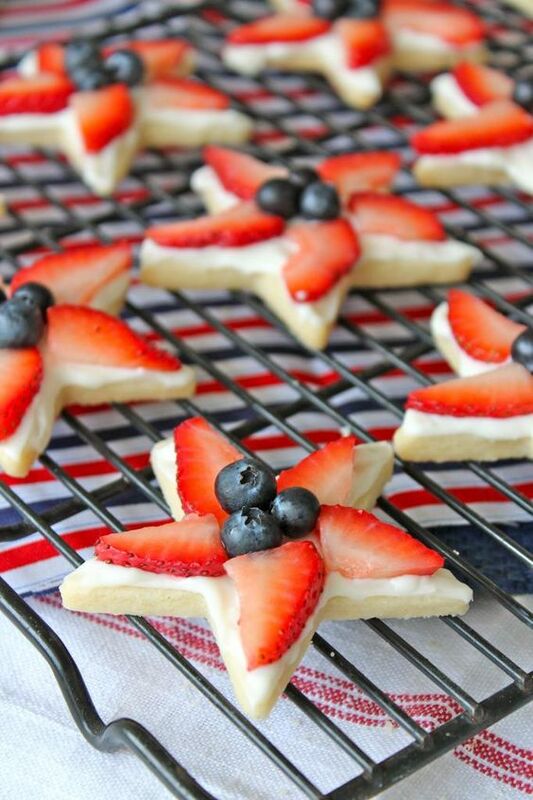 For many, many more super awesome ideas, check out my Memorial Day Pinterest board.